Hereford gained a third win in a row as an own goal from Gary Breen secured a 2-1 victory over Barnet. 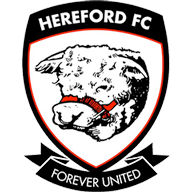 Hereford gained their third win in a row as an own goal from Gary Breen secured a 2-1 victory over Barnet at Edgar Street. A close-range shot from Frenchman Mathieu Manset rebounded off Breen's leg into the far corner of the net in the 68th minute. Barnet had earlier benefited from an own goal of their own as Richard Rose turned the ball into his own net to cancel out James McQuilken's opener. The Bees went close to going in front in the opening minute when David Livermore headed over the Hereford crossbar. Hereford responded with Manset forcing a save from Jake Cole with a low shot from the edge of the penalty area. And the Bulls took the lead in the 29th minute when Manset laid the ball off for McQuilken, who fired past Cole from 12 yards. 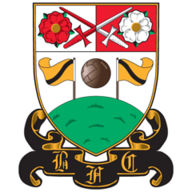 Barnet levelled a minute before the break, Rose inadvertently nudging the ball over his own goalline under pressure from veteran Bees striker Paul Furlong. After the break Hereford were the more positive side and their pressure eventually paid off in the 68th minute when Manset's shot was turned into his own net by the outstretched Breen.